The Navy will christen its newest Freedom variant littoral combat ship, USS Sioux City (LCS 11), during a 10 a.m., CST, Jan. 30 in Marinette, Wisc. 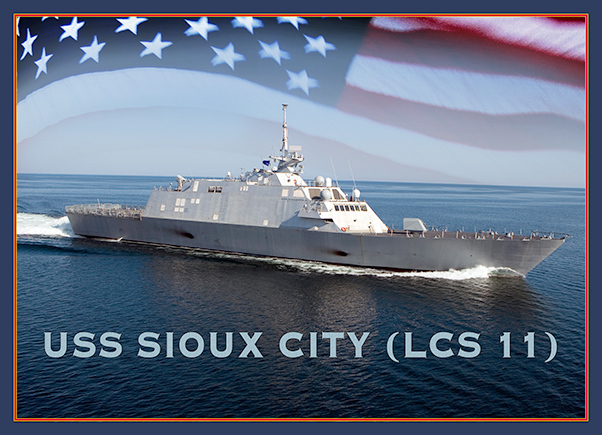 Sioux City, designated LCS 11, honors the city of Sioux City, Iowa. Adm. Michelle Howard, vice chief of Naval Operations, will serve as principal speaker. Mary Winnefeld, wife of retired Adm. James “Sandy” Winnefeld, will serve as the ship’s sponsor. The ceremony will be highlighted by Winnefeld breaking a bottle of sparkling wine across the bow to formally christen the ship, which is a time-honored Navy tradition. The future USS Sioux City is the first naval vessel to be named in honor of Sioux City, Iowa. The fourth-largest city in the state, Sioux City was founded in 1854 at the navigational head of the Missouri River and takes its name from one of a group of North American Indian tribes that make up the Great Sioux Nation. 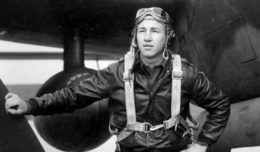 Sioux City has a strong historical connection to all branches of the military, including the Navy. The U.S. Naval Reserve Construction Battalion (NCB) 2 deployed from Sioux City Naval Reserve Training Center to Vietnam in 1967, and in February 1968 the 185th Tactical Fighter Squadron of the Iowa Air National Guard was deployed from their base in Sioux City in direct response to the seizure of the USS Pueblo by North Korea. Sioux City is also the hometown of the 27th Chief of Naval Operations, retired Adm. Vern Clark. The LCS class consists of two variants, the Freedom variant and the Independence variant, designed and built by two industry teams. The Freedom variant team is led by Lockheed Martin (for the odd-numbered hulls, e.g. LCS 1). The Independence variant team is led by Austal USA (for LCS 6 and the subsequent even-numbered hulls) and was originally led by General Dynamics, Bath Iron Works (LCS 2 and LCS 4). The LCS seaframes will be outfitted with reconfigurable payloads, called mission modules (made up of mission systems and support equipment), which can be changed quickly. These modules combine with crew detachments and aviation assets to become complete mission packages, which will deploy manned and unmanned vehicles and sensors in support of mine countermeasures, anti-submarine warfare, or surface warfare missions.